Twitter: An Effective Marketing Tool or a Waste of Time? You are here: Home » Real Estate Support Blog » Twitter: Effective Marketing Tool or a Waste of Time? Twitter for business – Is it an effective marketing tool or just a waste of time? Statistics show that Twitter’s popularity has leveled off with no significant new growth as compared to other social sites. This could be due to the rise of Snapchat and Instagram. To be competitive, Twitter has started to offer the option of tweeting gorgeous content like its competitors, too. They have also made a couple of significant updates that can help users get their message across. Instead of the previous character limit of 140, it has been increased to 280. This gives businesses better description opportunities. Those who need more than 280 characters can now string tweets together into a series. 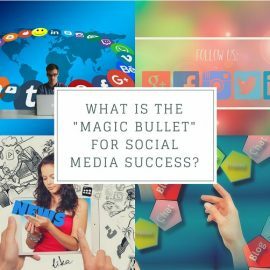 Some businesses are using this method of posting to market using storytelling. Images can enhance your tweet and definitely garner more attention. Twitter has also added a Twitter Live functionality. You can record, import, upload and go live in a similar manner to Facebook and Instagram now. Creating video ads on Twitter can prove to be very effective. 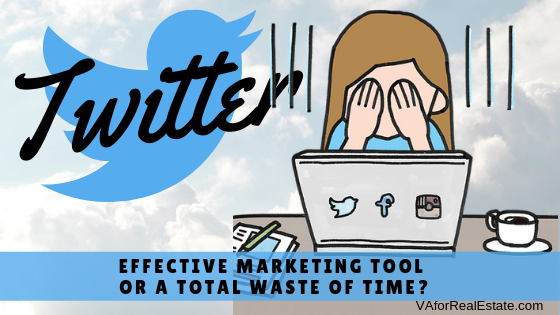 Is Twitter an Effective Marketing Tool or a Waste of Time? 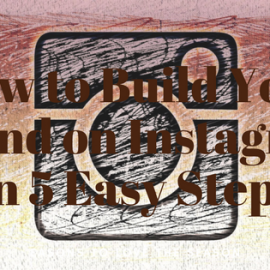 If you have spent time and effort building up followers, it would be a waste of your time to abandon your account. To be effective, your tweets should include what’s new in your business. Mention new products, services, events, awards, and projects you are working on. Tweet about surveys of your customers and any other newsworthy items you can think of. Hashtags – Hashtags can be buzzwords you create yourself, or tags already being used to promote a niche, idea or industry. Users can click on a hashtag to see the latest content published about that tag, giving you more visibility. Chats – Engage in Twitter chats, and create them yourself. Invite people you think would be good at discussing the topic by using the @ symbol. Use a Scheduler – Schedulers like Buffer.com or the popular Hootsuite.com can help keep your tweets going out on a regular basis. However, check your preloaded tweets to make sure your promotional tweets are not going out during a major event like a televised funeral, disaster coverage, etc. Some people could find it offensive. Promoted Tweets – Promoted Tweets can be purchased to reach a wider target market or to create more engagement from existing followers. There’s more to Twitter than meets the eye. Now that you know a little more about its function, tools, and benefits, give it a try.